Backpack Ground Blind Specifications: (3 Man Blind) has a zippered door with two windows on the door. Each of the three other sides has two windows for a total of 8 windows. 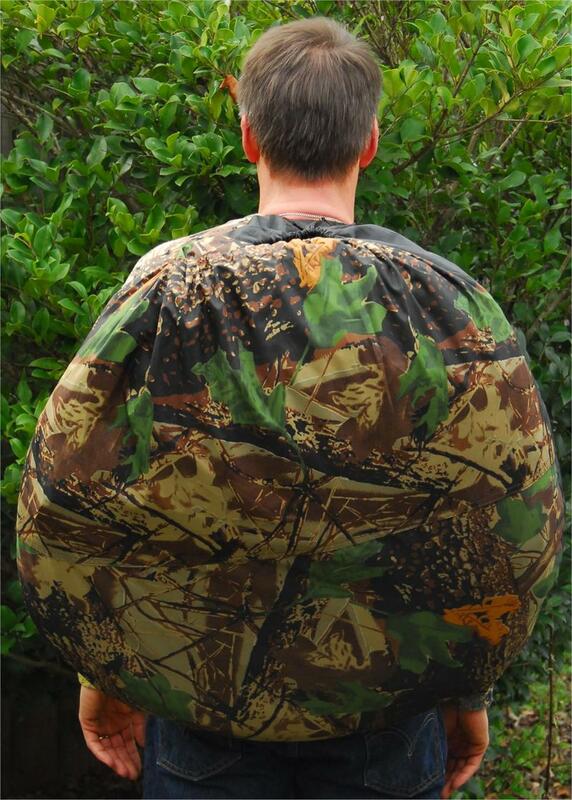 On the 3 sides opposite the door, there is a larger zippered flap that can be opened for better viewing. All windows have two headed zippers. Included are, 2 folding fiberglass poles for support, 8 metal stakes with 4 ropes, and Velcro straps to secure a Ghillie cover. Blind cover is 150D, Water-proof PU black coating on the inside, and fire-retardant. 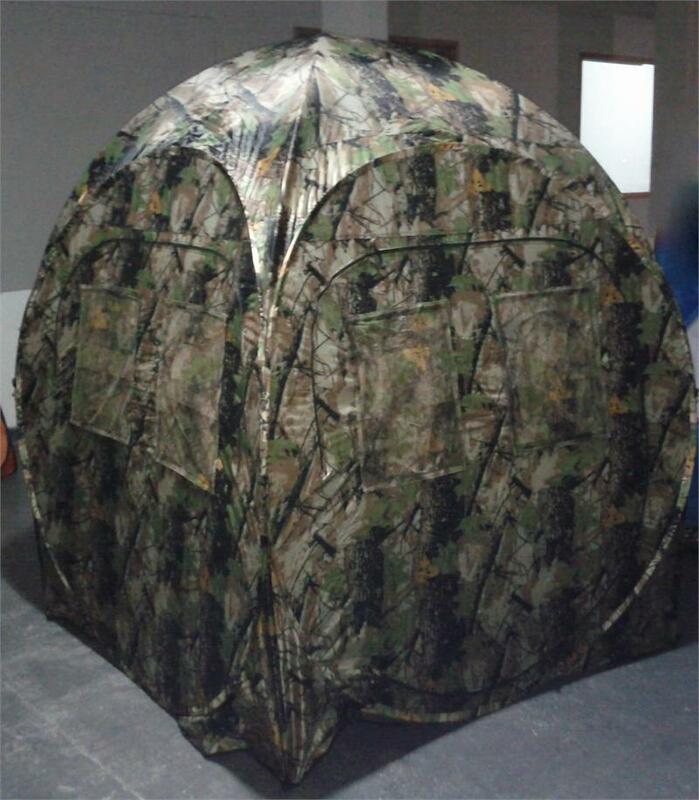 The tent is made with metal rings that allow the unit to be twisted and folded up, and stored in it’s included backpack bag. 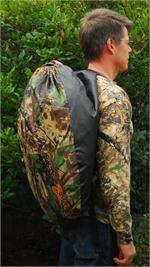 The bag has shoulders straps for easy transporting into the field. All the included accessories are stored in the bag. 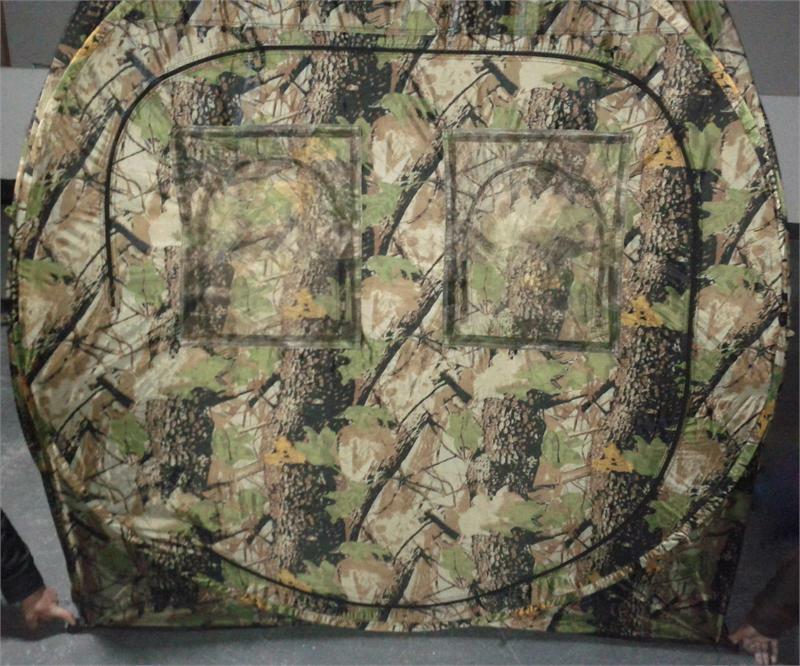 Ghillie Cover for Blinds, tents, golf carts, will fit a double blind.